Did you ever dream of flying? Ever think about moving through the SKY at 120 miles per hour without an aircraft? 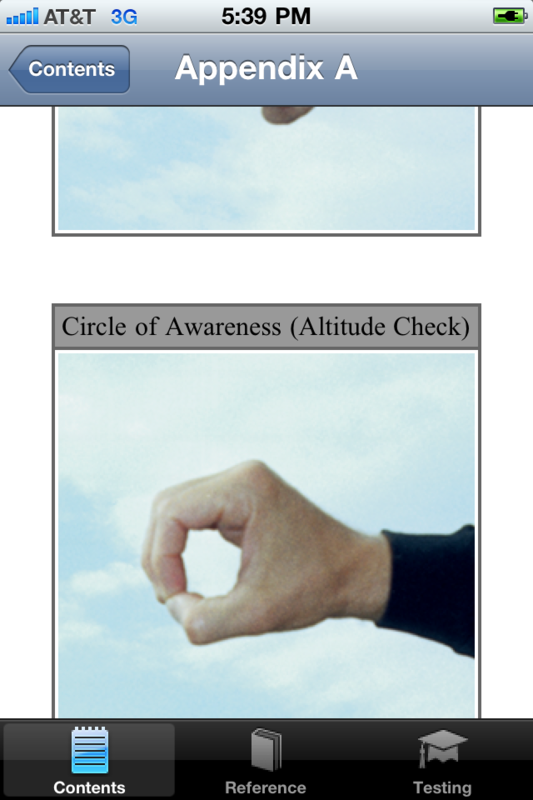 Want to be a SKYDIVER? 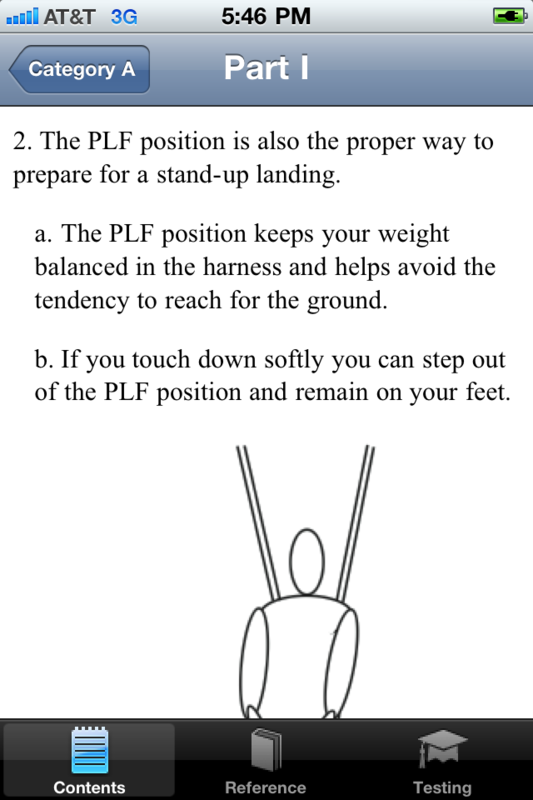 The United States Parachute Association's Skydiver's Information Manual contains all the necessary information and guidance for skydiving. 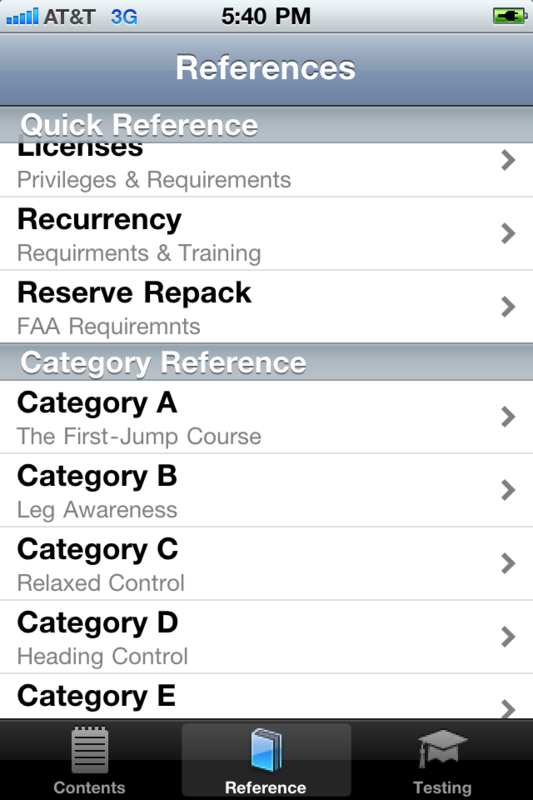 This App provides each Section in an easy to view format, sample tests, and quick reference for commonly read pages. This is the SIM at your finger tips. Get the app. Learn to FLY. 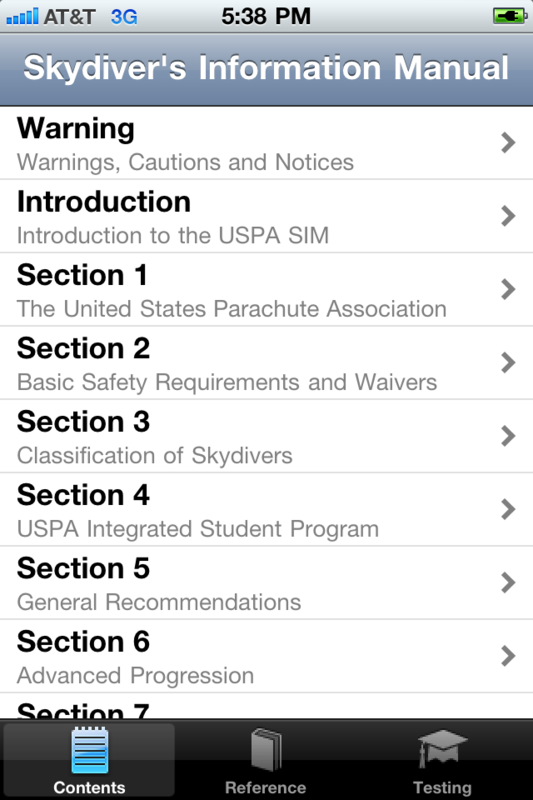 USPA SIM App is now compatible with iOS 3.0 and later. Minor page format changes and app load screen were also corrected.